NORDEFCO Sees Cooperation as Key to a Changing Northern Defense Environment. “ The main aim and purpose of the Nordic Defence Cooperation (NORDEFCO) is to strengthen the participating nations´national defence, explore common synergies and facilitate efficient common solutions. ” (NORDEFCO website). While the South China Sea, the overall Indo-Pacific area, and the Persian Gulf draw almost daily media attention, observers of geo-politics would be well advised to keep an eye on the Baltic region and the Nordic countries that border it. The Baltic area lacks the overt tension of the South China Sea and the Taiwan Strait but there is now a quiet reshuffle going on in response to the changing local and world situation vis-a-vis an emergent Russia projecting power both locally and globally. NORDEFCO states that it is neither a military alliance nor a command structure. Over the years the organization has had a number of successes, particularly in the area of training. Joint procurement has taken the slow road due to the various political and military considerations of the members. Despte this, joint procurement of a common combat uniform is now underway. For the future the organization is focusing on better communications among members and landing rights for unarmed military aircraft of member countries. Of great concern to the Nordic countries is Russia’s willingness to exert its military power as seen in the takeover of Crimea and its proxy war in Ukraine. Add to this Russia’s continuing support of the Bashar al-Assad regime in Syria. It is clear that if Russia has the will, it can project force in a robust and effective manner when it sees its national interest at risk or when it sees such action as supporting its long-term national interest. Considering this, many observers feel that Sweden and Finland though not NATO members might be now considering full membership in the organization. A precursor to this, or a sign pointing in that direction might be the hosting and participation in NATO’s biggest military exercise in recent history: Trident Juncture 18. Scheduled to be held from 25 October to 7 November 2018, Trident Juncture 18 will involve some 50,000 participants from 31 NATO nations and NATO partner countries. Action will take place in central and eastern Norway, but also in Sweden, Finland and Iceland. 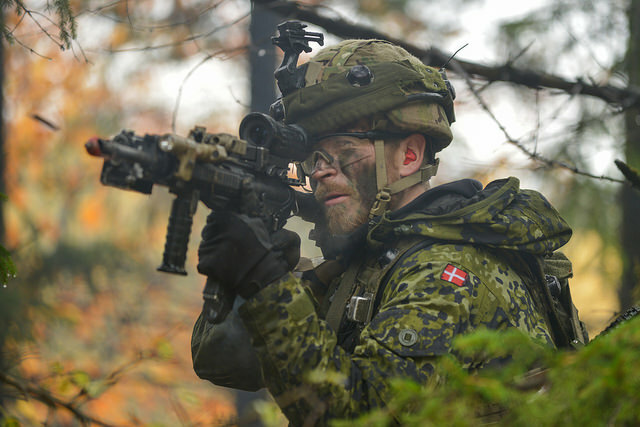 The exercise can be seen as a NATO response to an “Article 5” situation where a NATO member is attacked and the organization must respond in force and in a timely manner. While no “enemy” is specified for the exercise, it is clear that Russia is seen as the potential aggressor. The willingness to participate in this exercise by Sweden and Finland and the permission to use their territory for positioning and moving forces can be interpreted as another sign of the changing geo-political climate at the top of the world. It can also be seen that while NORDEFCO is working, the parties concerned are now considering other options for their military and political positions. Finland and Sweden to Join NATO – Yes? No? Maybe? More US Marines Heading To Norway in 2019. 前 前の投稿: Viet Nam Gets First Female President. 次ページへ 次の投稿: Iran Oil Exports–VS–New American Sanctions.